In the month of September, people from all around the world recognized the need to support the children whose bodies carry an unwelcome companion named cancer. Individuals, families and organizations raise money to fund research on treating and curing childhood cancer. There are many nonprofit organizations such as CureSearch who raise money. CureSearch’s goals focus on things like driving cancer out of the lives of children. Childhood cancer awareness is a major priority to hospitals and their patients because children are the future. According to CureSearch, there are about 15,000 children from 0-19 years old who are diagnosed with cancer each year. Since 1971, the survival rate of children with different types of cancer has significantly increased. 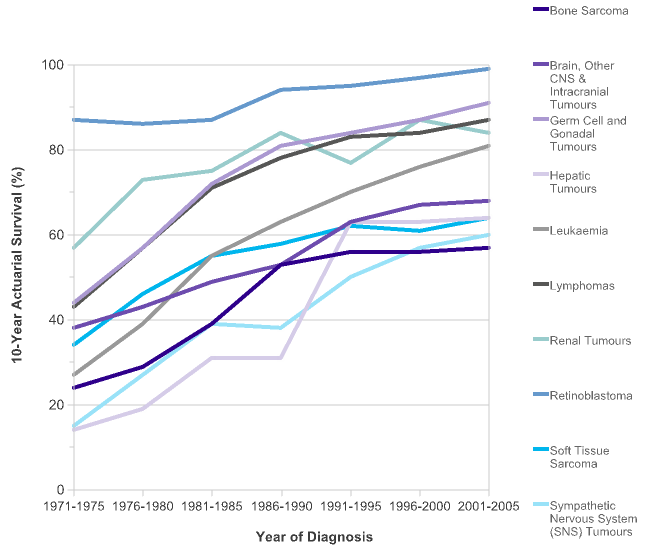 For one specific cancer, liver tumors, the survival rate was around 17% in 1971; in 2005 the survival rate was recorded at about 63% (Click here to see graph). That is a huge improvement. All the work and research that has been put into childhood cancer has been paying off over time; but the fight is not over yet. Gold is a precious metal. Children are our most precious treasure. Gold goes through a process by fire, to become stronger and tougher. Kids with childhood cancer similarly undergo such an experience. They often develop resiliency by facing all the difficult and painful challenges of childhood cancer. It was chosen in 1997 when a small group of parents in the United States started discussing the need for a universal symbol to create awareness of childhood cancer.